In the 3rd arch of Umineko no naku koro ni, we began to see strange changes in Beato when she passes the mantle of Beatrice to Eva. She was developing a conscious, and working on building a friendship with Battler. That was, until Beatrice denied magic, and tried to lure Battler into the Golden Land. Battler is about to sign when Ange jumped out of nowhere and bursts Beato bubble. I never saw it coming. I had grown to genuinely believe in Beato’s character development and change in personality, probably due to having seen it so many times before. 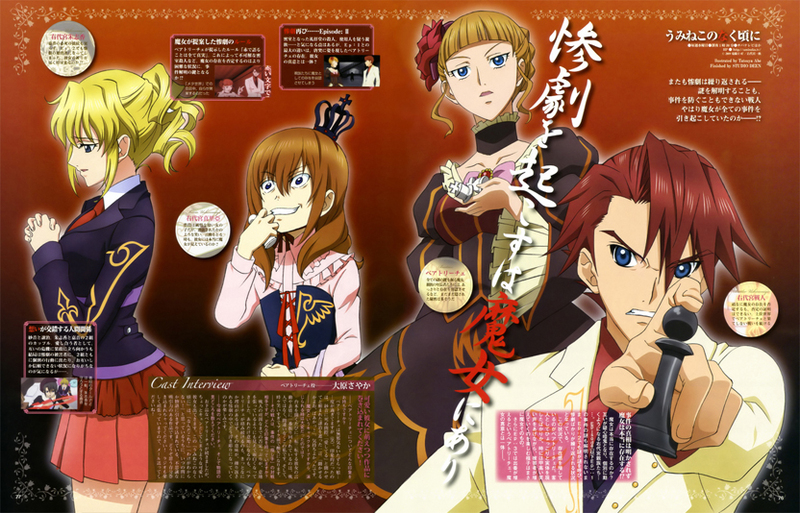 The third arch had proved Umineko no naku koro ni’s worth. However, this moment cemented the fact that this show was not only pure genius, but that nothing in this show could be taken for face value. Although one could argue that Beato’s act wasn’t completely an act, it was definitely a deception of sorts, and a fabulous one at that. Urg, this is definitely making my top list. Definitely the biggest troll sucker of the year.